Curl Up With 'The Tuscan Child,' A Truly Cozy Mystery This tale of an RAF pilot, the Italian woman who rescues him after a crash, and 30 years later, his daughter, is so skillful and comforting that you may not even notice the fact that there's a war on. Rhys Bowen's new novel The Tuscan Child fits as firmly in its genre niche as an Italian nonna might in the hamlet of San Salvatore, where most of the action takes place. RAF officer Hugo Langley survives a crash nearby; a local woman, Sofia Bartoli, finds him and nurses him back to health. We read their story in third-person perspective, but half of the book's narration comes from Hugo's daughter Joanna, who finds a mysterious letter in her father's effects 30 years later, and decides to travel from London to Italy and figure it all out. Which is where the "genre niche" fits in: The Tuscan Child is the coziest of cozy mysteries, so cozy that even with evil Germans lurking around every olive grove, World War II matters less than the growing amore between Hugo and Sofia. It's such a cozy mystery that it's really historical fiction wrapped up in romance, or even the other way around. Think Daphne du Maurier, not Patricia Highsmith; M.M. Kaye, not P.D. James; Julie Garwood, not Julie Orringer. Bowen, whose other work includes the Royal Spyness series and the Molly Murphy mysteries, is working true to type — but some readers may not realize from the lush Tuscan landscape on her cover that this standalone isn't meant to be a standout, at least not as far as Bowen's style goes. It's as pillowy and comforting as the aforementioned nonna's Sunday ravioli. And, for readers in search of comfort fiction, it will hit the spot admirably. The first two lines: "December 1944: He was going to die, that was quite obvious. Hugo Langley tried to examine this fact dispassionately." We fall instantly into a well-worn stereotype, the stiff-upper-lipped Briton, but well-worn things are really quite comfortable, aren't they? When Sofia, whose husband is also away fighting (let's not dwell on the fact that he's with the Axis powers), discovers him while night foraging, the two remain terrified that he'll be found out — but that doesn't stop them from attempting to keep him hidden. 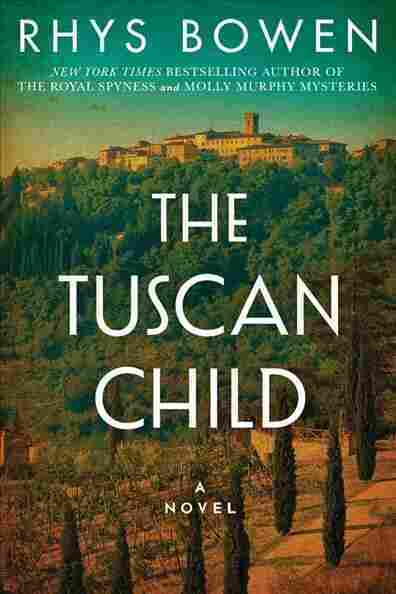 'The Tuscan Child' is ... so cozy that even with evil Germans lurking around every olive grove, World War II matters less than the growing amore between Hugo and Sofia. Next thing we know, we're meeting Hugo's daughter, Joanna, who has just learned of her father's death at age 64. From her recollections of him and her mother and their life in the gatekeeper's cottage at Langley Hall, we understand that Joanna knows nothing of his Italian experience. We also learn that Joanna has gone through something traumatic. We don't know what. But she needs a change, and when she finds a tooled leather box with a few odd items in it, including the mysterious letter to one Sofia Bartoli, she chooses to make the trek to San Salvatore and learn more about her much-loved but clearly reserved parent. As Joanna heads to Italy in 1973, back in 1944, Hugo is struggling to survive. Sofia's attempts to aid him are a worthy look at the deprivation Italian civilians suffered during and after World War II in a country where the only food available might be forest mushrooms, wild greens, and small game. It's also a real contrast to the abundance of Joanna's era, where meat, cheese, pasta, and alcohol can all be had. Bowen skillfully intertwines the narratives of Hugo and Joanna so that readers feel one step ahead on the actual mystery, involving the titular child — but are never one step ahead of the characters' trajectories. That's no mean feat, and despite the occasionally broad characterizations (a young mother who bares "a great round breast" to nurse, avuncular village men, an innkeeper with endless stores of biscotti and fresh vegetables, a starchy headmistress), it's easy to care about what happens next while you're trying to figure out who that child might be. You're wrong, but you'll find that out well before the end — and there will still be a cracking good whodunit then, too. Re that earlier, "standalone" comment: I wondered, as the book progressed, if Bowen might be planning to write one or more future novels starring Joanna Langley. One of the most enjoyable aspects of The Tuscan Child involves Joanna's quick but authentic embrace of her Italian community. She could stay, or she could go, and either way, she might continue solving mysteries. Leaving a book so open-ended and yet so warmly complete is also no mean feat. By the time you understand what Hugo and Sofia have done, you'll be hungry for a Tuscan feast. Pass the bread, the olives, and the wine. Oh, and a copy of The Tuscan Child to savor with them.